GALLUP INTERNATIONAL ASSOCIATION presented to the reporters today the results of the public opinion poll entitled “12 Shades of Mayor”. According to the poll, 39.9% of the Yerevan residents will back My Step alliance mayoral candidate Hayk Marutyan and 11.8% will vote for Prosperous Armenia Party candidate Naira Zohrabyan. 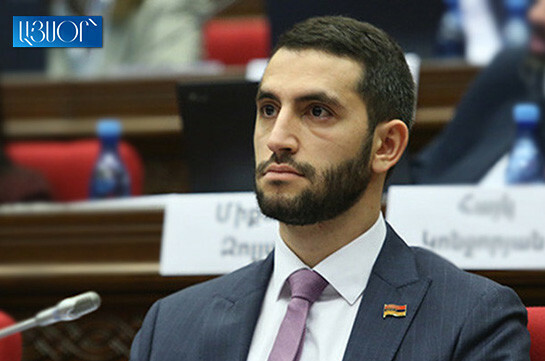 Some 4.2% of the respondents said they will vote for Luys alliance candidate Artak Zeynalyan, and some 2.5% will back Zaruhi Postanjyan’s candidacy from Yerkir Tsirani party. Some 1.1% said they will vote for Orinats Yerkir party candidate Mher Shahgeldyan and 1.1% for Raffi Hovhanissian from Heritage. Only 0.8% said they will vote for ARF-D candidate, 0.3% will vote for Yerevan community alliance and 0.2 for Yerevantsiner alliance. Other three parties have not received any votes.